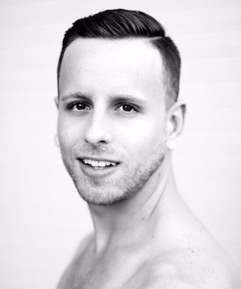 Anthony Bocconi is from Brooklyn, New York, where he began his dance training at the age of 13. He attended Fiorello H. La Guardia High School of Music & Art, and the Performing Arts where he found his niche in modern dance. Upon graduating, Anthony furthered his dance training in the Ailey/Fordham BFA program. Throughout his time here, Anthony spent summers at prestigious intensives including Jacob’s Pillow, Hubbard Street Dance Chicago, Nederlands Dans Theatre and Springboard Dance Montreal. He graduated with a BFA in dance in the Spring of 2013, and since graduating, Anthony has danced with the Metropolitan Opera, Santa Fe Opera, Lydia Johnson Dance, The Lar Lubovitch Dance Company, and MOMIX.